Preference card optimization and standardization to increase margins and capture real-time materials utilization in the OR. 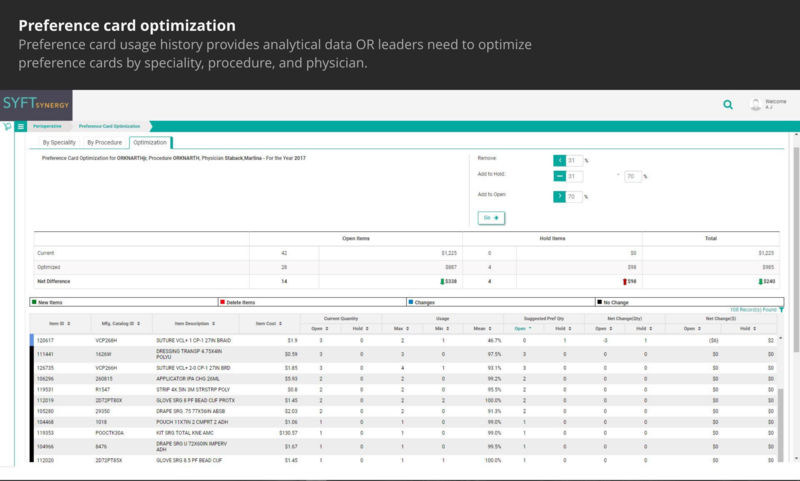 Enabled by the aggregate operational data we collect, Syft Synergy’s powerful analytics engine surfaces actionable perioperative insights on surgical material utilization and variances. These insights help hospitals to uncover hidden and unnecessary costs and identify standardization opportunities. 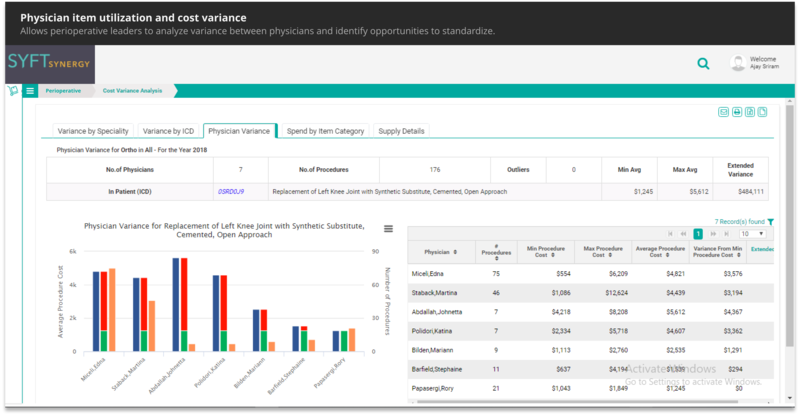 Less round-tripping and "supply safaris"
Syft Synergy provides comprehensive, real-time intel on procedural costs and materials utilization by case, physician, and procedure through intuitive dashboards accessible from any mobile and PC-based browser. 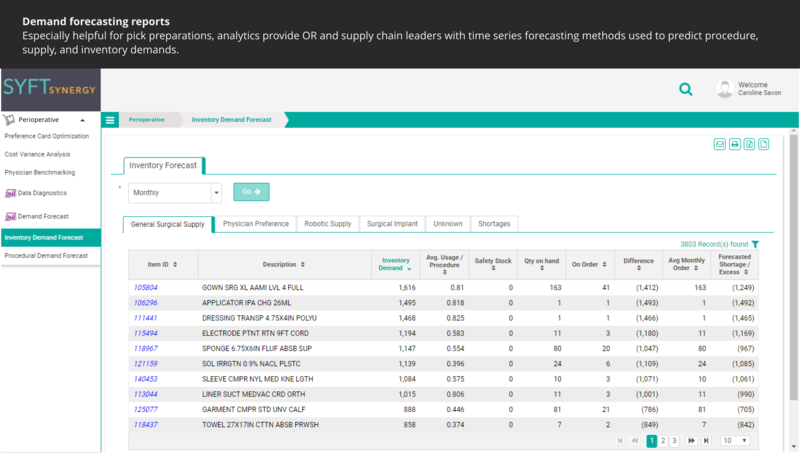 Users gain immediate access to actionable data via an intuitive dashboard.